Of late, study of Hinduism is drawing the attention of scholars both from India and from other countries. However, books on general Hinduism covering all aspects are hard to find. The book that is now in your hands is expected to remedy this problem to a considerable extent. The subjects dealt with are: religion, philosophy, mythology, rituals, scriptural works, festivals and pilgrim centres, astrology, biographies of religious personalities, iconography, temples and religious institutions. Buddhism, Jainism and Sikhism which are closely allied to Hinduism have also been dealt with briefly. Short biographical notes of the better known indologists have been added at the end as appendices. It is earnestly hoped that the students of Hinduism will find this work useful in understanding the essence of Hinduism in the right spirit. Swami Harshananda is a senior monk of the Ramakrishna Order. Initiated into spiritual life by Swami Virajananda, the sixth president of the Ramakrishna Order, he joined the Bangalore branch of the Ramakrishna Math in early 1954. He was administered the monastic vows by Swami Vishuddhananda, the eighth president, in 1962. The Swami has worked in the various centres of the Order such as Bangalore, Mangalore, Mysore, Belur Math (the Headquarters of the Order) and Allahabad. He has been the president of the Ramakrishna Math of Bangalore since 1989. He has several books to his credit in English, Kannada and Sanskrit. Some of his books have been translated into foreign languages like French, Korean and Indonesian. He is a good speaker in English and Kannada (his mother-tongue). The Swami can also sing devotional songs well. His cassette tapes and CD’s of discourses and Bhajans are quite popular. Hinduism is a great religion. 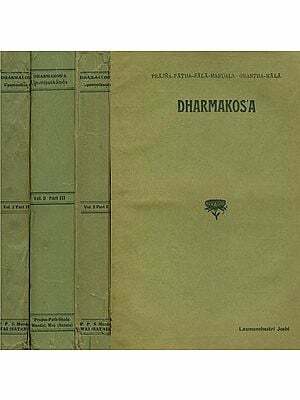 The traditionalists however prefer to call it ‘Sanatana Dharma’. Perhaps, this is a far better term that reflects its true meaning and significance. The word dharma is generally used to denote religion, the path to perfection or beatitude. ‘Sanatana’ means ‘ancient’ as also ‘eternal’. Hence the expression means ‘the religion or the path of spiritual discipline that is not only ancient but also eternal’. In other words, Hinduism has been offering an unbroken continuous tradition of spiritual discipline which is not only very ancient but also relevant even to the modern times. The beauty of this tradition is that it proffers several alternatives that can suit different types of sadhakas (aspirants) instead of prescribing the same cap for every head. Thus, starting from the aspirant at the highest rung of the spiritual ladder who is fit to meditate on the non-dual Brahman (the Absolute), right up to the tyro worshipping the images, everyone has a place specially carved out for him. Of late, study of Hinduism is drawing the attention of scholars both from India and from other countries. However, books on general Hinduism covering all aspects are not many. Even the few that are available deal with subjects like the Upanisads, the Bhagavadgita, Vedanta systems and Yoga philosophy in greater detail ignoring other aspects relevant to popular Hinduism. Hence there is a great need for an exhaustive omnibus type of work. To prepare a comprehensive work with several chapters touching on all aspects of Hinduism. 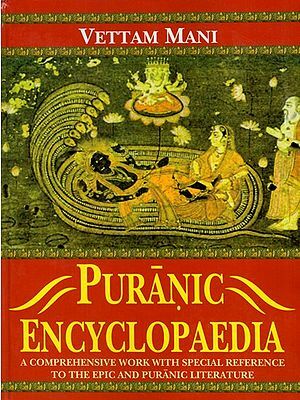 To work on a regular encyclopaedia of Hinduism, arranging the various subjects in the English alphabetical order. After weighing the pros and cons, I decided in favour of the latter since it would be much easier for the average reader to locate the subject he wants to know. This is now in your hands. The entries have been arranged in the English alphabetical order. Since most of the subject headings are in Sanskrit, standard diacritical marks as approved by the International Alphabet of Sanskrit Transliteration and based on a standard established by the Congress of Orientalists at Athens in A.D. 1912 have been adopted. However, while arranging the titles in the alphabetical order, the diacritical marks have been ignored to facilitate easy recognition. As for the subject content, the following are the main topics dealt with in greater detail: religion, philosophy, mythology, rituals, scriptural works, festivals and pilgrim centres. Other topics described include astrology, biographies of religious personalities, iconography, Sanskrit language and literature, temples and religious institutions. Care has been taken to deal with the four Vedas, their subsidiary works and allied literature. Several important Vedic Suktas, yagas or sacrifices as also unfamiliar concepts and terms have also been described. Along with the major Upanisads and the Mahapuranas, several minor Upanisads and the upapuranas too have been dealt with. While the essay on the Ramayana is fairly exhaustive, the one on the Mahabharata is more condensed because of its immense size. However, the various topics dealt with in it like dharma or the minor Gitas or the Yaksaprasna do find a place as independent articles. Since most of the agamas and tantras are still in the manuscript form, justice could not be done to this subject area. Only a few major ones, more well-known, have been delineated. Since Buddhism, Jainism and Sikhism are closely allied to Hinduism they too have been described briefly along with the biographies of their founders. Now, a word about the language: The Basic Manual of Style given in standard dictionaries has been closely followed as far as possible. Use of capital letters has been minimized. Italics have been used to indicate the titles of books and works as also foreign words. In the body of the work, all Sanskrit words are given in the usual Roman script only except in rare cases where found necessary italics have been used. All references to works quoted have been given in full, avoiding abbreviations. Line-drawings as also halftone pictures have been given in the body of the work itself under the respective titles. Photographs have been given separately in a bunch at the appropriate places. Brief biographical notes of the better known Indologists have been given at the end as appendices. A work of this dimension could not have been accomplished without academic help from various quarters. However, only a select bibliography has been prepared and added at the end. Small booklets and articles which have also been consulted, have not been mentioned since they are too numerous to do so. This stupendous task, normally undertaken by institutions, has some how been completed- it was started in 1975-solely by the grace of God. It is being dedicated to Sri Saradadevi-better known as the Holy Mother-the Divine Spouse of the Divine Lord, Bhagavan Sri Ramakrsna Paramahamsadeva. I earnestly hope that the students of Hinduism as also the Hindu society will find this work useful in understanding the essence of Hinduism in the right spirit. weight of book 5.90 kg.